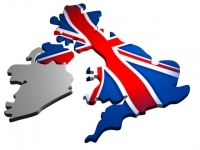 United Kingdom the name is enough to generate curiosity in the people who are planning to migrate to other countries, as UK tops the list of everyone who wishes to live and settle abroad. However the tables have turned now and the current situation in UK is sending shivers to the aspirants planning to apply for UK visas. UK is currently facing many problems post BREXIT and the major problem among them is immigration and illegal immigrants in the country. The UK government has now decided to give £2000 for all illegal immigrants to leave UK, as it is facing colossal migrant crisis. Not only providing them with the cash, the UK government is also providing them paid flight ticket. The Government confirmed they have made “assisted return” payments to a total of 529 people since the inception of this strategy. This initiative is majorly driven to assist the immigrants returning their home country and help them start a business or find someplace to live in their country with the help of the money sponsored. The latest reports confirm that the latest figures show 41 percent jump in the asylum claims and this is the highest figures since 2004, this is seriously leaving UK with more concerns coming in. Increase in family visas post BREXIT has also increased by 17 per cent which leave another 47,000 non-EU nationals immigrate to UK on long terms visas to accompany or join other family members on leave to remain visas.